We invest in your success and provide the personalized attention you deserve. We take the time to understand your business, be there whenever you need us and help navigate business risks. We provide full-service financial, logistical, and back office support so you can focus on getting orders and growing your business. Let us do the dirty work and make sure you’re protected throughout all your transactions. Why give up equity to bring in a partner? Our low cost financing is a smart way to grow your business and make more money without having to give away the shop. 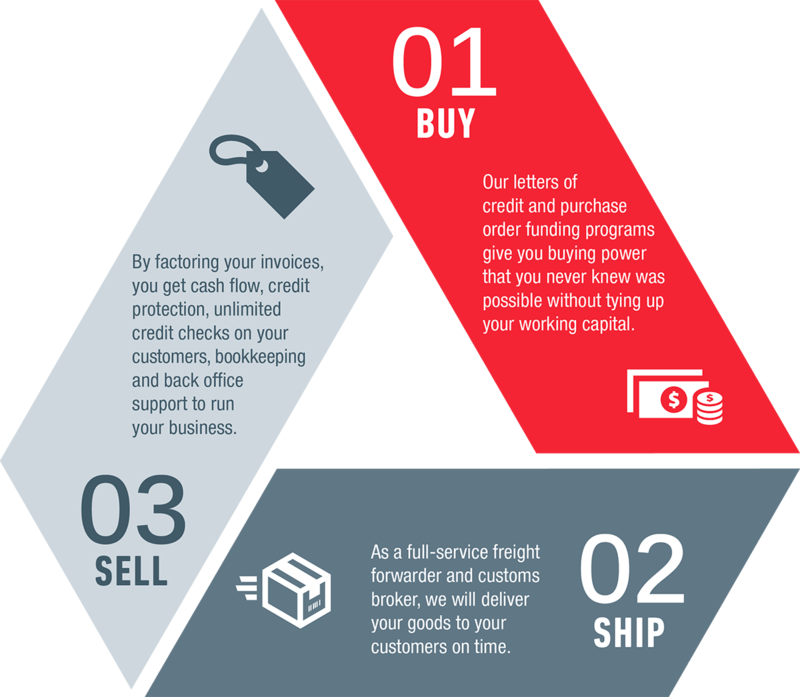 If you have purchase orders, we can buy your goods for you, deliver them to your customers, and give you cash to run your business. With Express Trade Capital, you can capitalize on all the benefits of having trade finance and supply chain management support under one roof. Whatever your industry, Express will provide a complete, integrated solution for your unique financial and logistical needs. These services are complementary, but no one else offers them together. The result for you is a seamless transaction—we can handle everything from shipping and financing purchase orders to getting paid for your goods.